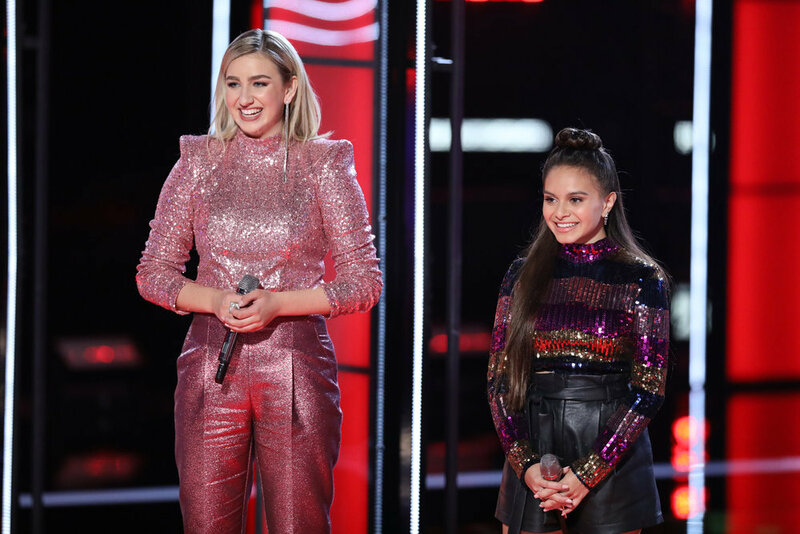 For the first time ever on The Voice, the teams faced off in a new aspect of the competition with the introduction of the live Cross Battle rounds, in which the four coaches – Adam Levine, Kelly Clarkson, Blake Shelton and John Legend – had to pick one member of their team to face off against another team’s member without knowing who the coach they challenge will pick. One of the best Cross Battles of the night was when Kelly picked 16-year-old Presley Tennant to face off against a member of John’s team and John selected his own 16-year-old team member Kayslin Victoria. Then the neutral coaches weighed in. Watch the videos of their performances and decide for yourself. The Voice returns tonight at 8 p.m. ET/PT on NBC when the winners of Monday night’s Cross Battles will be announced.